I remember when I was a kid growing up, our house had that weird little slot on the outlet in our bathroom. It always confused me. It was an older style home and just below the plugs, there was this plate with a slot for ‘Used Razor Blades’. I didn’t understand what that meant or why anybody would throw razor blades in a random hole in the wall. I ended up throwing tissues, a couple cotton tips, and more than one vitamin I didn’t’ want to take. I envy the guy who renovates that old bathroom and pulls open the wall to discover all my childhood treasures. Of course, (this may be before your time) airplane bathrooms used to have ‘Used Razor Blades” slots as well. Even when I understood why you’d need a place to dispose of blades, who is shaving so much on a plane? Shaving so much you need to dispose of blades? But those days have passed. We still use safety razors today, but got rid of the Used Razor Blade slot. So what are we to do with them? 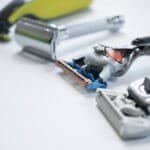 How DO you dispose of razor blades…the right way? You might think that you can use your green power and love for the planet to recycle those old blades. You can’t recycle these blades. Good intention though. I mean, they are made from recyclable materials, right? Yes, that’s true, but they are too dangerous to recycle. They pose a risk to the sanitation workers who sort through the recycling. They could easily slice up a stray hand reaching in to a pile of metals. Also, they’re too thin to consider as viable for recycling. It’s just not practical or cost-effective to recover the raw materials from the blades and use them again. …I wouldn’t want to see you in jail. In an attempt to save the planet and reduce this problem, you could try to extend the life of your blades. But what causes your blades to wear down? One of the biggest killers of your razor blades is oxidation. Your blade, when exposed to water and air and the skin on your face, can quickly develop accumulate dirt and rust, which dulls and wears down the blade causing little nicks. Let’s find some ways to prolong that razor and keep it from getting those nicks into the blade that wear it down. That means keeping it dry, clean, and air-tight. 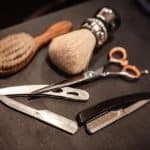 After your shave, you should give your blade a good rinse, removing any shaving cream, lotions, or bits of skin and hair that your razor has picked up. After that, wipe your blade in the opposite direction you would shave with it. You can do this along a dry towel, a length of denim, or some manly guys even use their forearm. In essence, you are “stropping” your blade when doing this, which is realigning your blade, removing any bit of water, oils, and other particles that cause that wear and tear. After you do this, you need to protect your blade from the air, which oxidises the metal. You can either let it sit in a shallow container of rubbing alcohol or enclose it in a tin or small container. I prefer the rubbing alcohol, but to each his own. I also do this with my cartridge blades, when I use them. 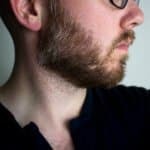 I find that passing the blade a few times over an old pair of jeans each time before I shave keeps the blade in near-new condition. I have heard of many people making one single cartridge lasting several months, saving them literally dozens (!!!) of dollars over the course of 12 months. I’m not sure if I’m ready to try out 6 months on one razor cartridge, but I have noticed an incredibly extended shelf-life of my blades. If the DIY solutions aren’t your cup of tea, we recently reviewed BLEW – a system that was built to dry 99% of all razors on the market. Check out the full review of BLEW here. Ok, you’ve preserved your blades, kept them from wearing our prematurely, and it’s finally time to change it out. Well, instead of tossing them out individually, which can be dangerous and illegal, you should instead house them in a larger container, ready to dispose of later. If you have kids in the house, not only will you prevent them from picking up a single blade out of the trash, but you can keep your blades safe and away from prying hands. You have a few options when it comes to housing your blades. Believe it or not, there does exist a couple options you can buy online. I suppose it’s true that if there’s a need, someone out there has built a solution you can buy. First up is the Feather Razor Disposal Case. Feather does actually produce good quality razor blades, so it makes sense that they bundled a disposal case that suits their own products. It does hold enough blades to last you several months. Although they do advertise that you can open the box and dispose of the blades that way, I find it a better option to simply throw the entire case away and get a new one. 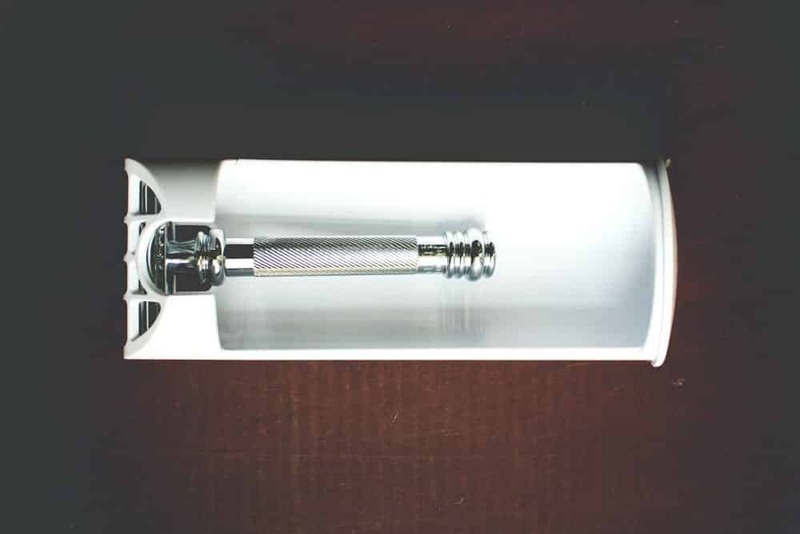 You could also get something more purpose-built in the Derby International Razor Disposal Case. This is a realistic razor blade disposal container that clearly advertises what it is. It can’t be confused for a floss container or something else when it sits on your bathroom counter. Again, I would advise throwing the whole thing away when it’s full. If you’re not in the mood to spend your hard-earned dollars on something you could totally whip up in your spare time (and who wouldn’t choose to do that? 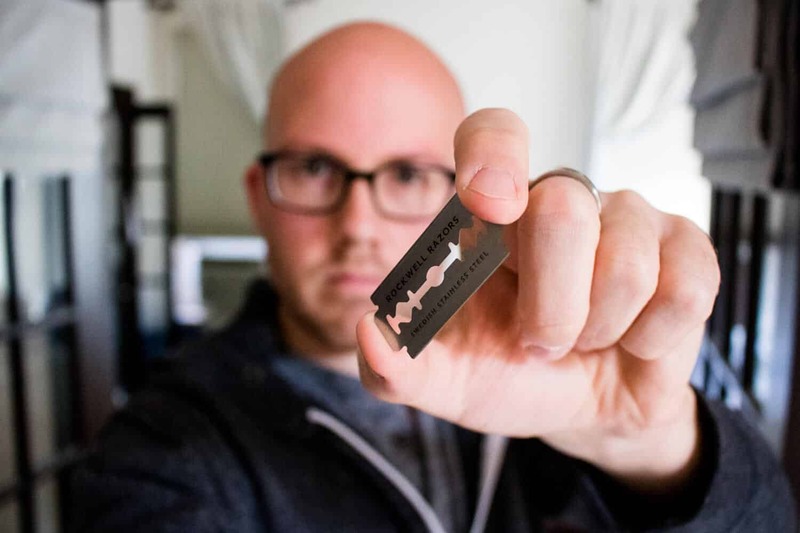 ), you can make your own version of a razor blade disposal case. To add yet another item on the list of “Multiple Purposes for Altoid Tins”, you could make your own disposal case quite easily. Simply grab a sharpie and clearly label the outside as ‘Used Razors’. 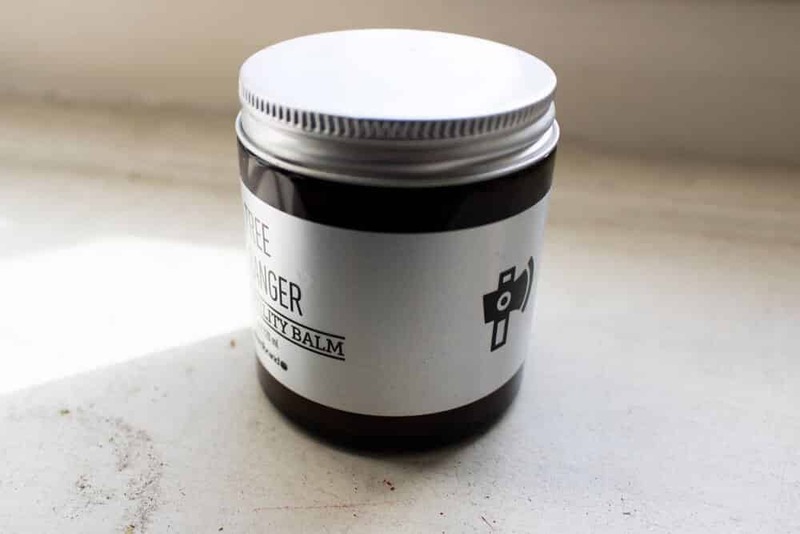 This will prevent your partner from accidentally thinking they’re grabbing a mint, and wondering why your mints are so pointy and sharp tasting. Every time you need to cast aside a blade, pop open the tin and throw that blade in. And when you’re done, you can tape up the tin and throw it away with your regular garbage. I like this option because it’s so portable. 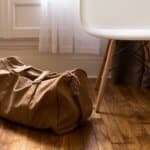 You can easily travel with it. Although I would advise putting it in your checked luggage or else TSA will give you weird and suspicious looks when they see you bringing dozens of sharp razor blades in your carry-on. 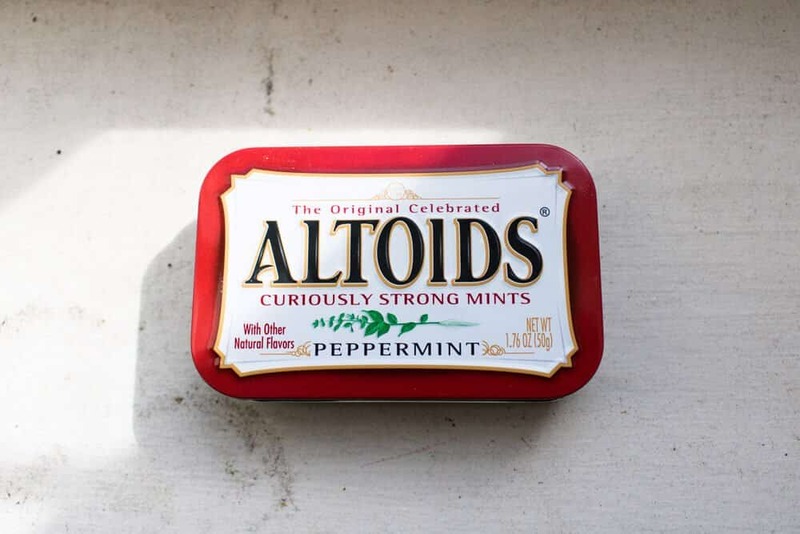 I like the Altoids Tins, but they can easily pop open. 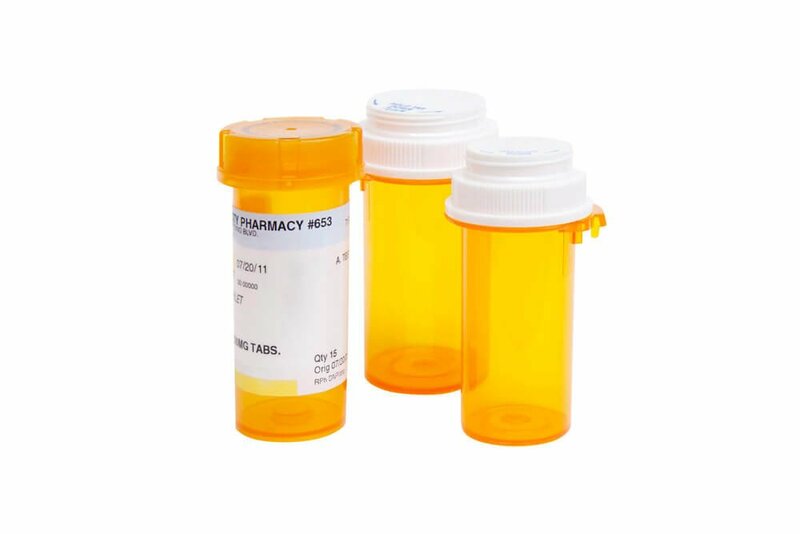 If you want to have something just as portable as the tin, you can choose to use an old medicine bottle as your use razor blade container. Again, just label it clearly on the outside as ‘Used Razors’ I’m saying that for your partner or kid’s benefits, but let’s be real. You’re going to forget and try it open it one day unless you write all over it in clear, big letters. I suggest cutting a slit in the lid of the jar. You can use a hobby knife or even a pair of tin scissors. Make it wide enough to slip the used blade inside, and then there won’t be any risk of them spilling out again. Once it’s full, tape over the slit and throw it away. Simple. If you’d really like to gather as many old, rusty blades as you can, use something bigger. 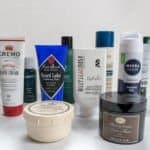 I like the old Pomade container as an option. It just looks manly sitting on your counter as your home-made, pardon me, home-crafted razor blade disposal case. Alternatively, a soup can works just as well. 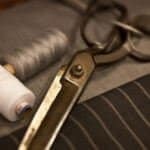 Using a hobby knife or those scissors again, cut the slit on the top and let the can sit there, gathering all those old blades. Unless you’re the Wolfman, that should remain there for several months before you have to toss it away. Tape it up and save yourself months of clean up. 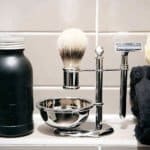 If you don’t want to clutter your bathroom, or you don’t want to have an ugly soup can sitting there for months, you can eliminate a bunch of blades at a time. To save you and everybody in your house from danger, simply wrap them up in a convenient package of paper before tossing out. You can gather like 5-10 at a time and tape it up together in a convenient parcel to throw away. Just be sure you don’t accidentally throw that paper in the recycling bin. Never, ever simply throw away a blade. It’s too much of a risk to your kids, your pets, your sanitation workers, and let’s be honest, yourself. When you are throwing away blades, regardless of the method mentioned above, please do so with care. Most cities have their own regulations and guidelines for eliminating razor blades. Check up and follow those guidelines to make sure that you keep everyone safe. Hey there, I'm Shawn, the founder of Tools of Men! 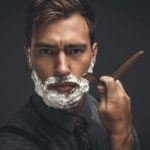 This site was created to help out other guys by teaching them proper grooming habits and the basics of sensible style. We try to make things here a bit of fun while giving you clear info. If you want to get in touch with us, drop us a line on the contact page or via social media. Thanks for checking out the site - and make sure to come back again! 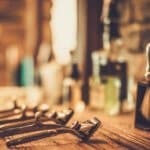 Tools Of Men is a participant in the Amazon Services LLC Associates Program, an affiliate advertising program designed to provide a means for sites to earn advertising fees by advertising and linking to amazon.com. As an Amazon Associate I earn from qualifying purchases.